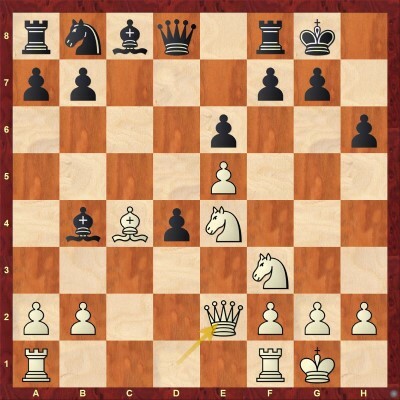 In the second installment of his Black repertoire after 1.d4 Nf6 2.c4 e6, GM Kuljasevic suggests an opening repertoire against 3.Nf3 based on the Ragozin Defense (4...Bb4) and Modern Queen's Gambit (4...a6). 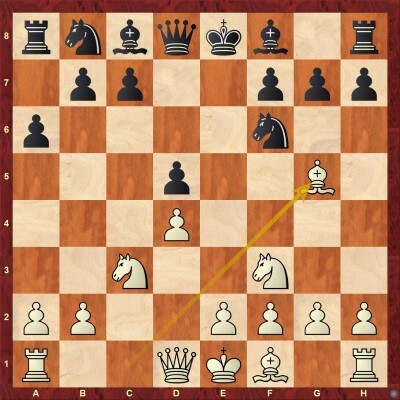 Similarly to the Repertoire against the Catalan, the idea is to have one equalizing opening system that you would be comfortable playing against strong opponents, as well as one sharp system that you would use to imbalance the game, get your opponent out of his comfort zone, or just get a playable game without much opening theory, hoping to outplay him in the long run. In this database, the Ragozin Defense will have the role of a solid equalizing weapon, while the Modern Queen's Gambit will be the sharp one. The Ragozin Defense is one of the most popular defenses against White's classical setup with Nf3 and Nc3 on grandmaster level. There are not many contemporary top players who have not given it a try with the Black pieces at least, while some of them, like Magnus Carlsen and Wesley So, keep it as a part of their regular repertoire. Compared to the Queen's Gambit with 4...Be7, the Ragozin gives Black more opportunities for active play, while still keeping a reserve of solidity. In addition to opening files divided into 15 chapters, in this opening database, a breakdown of all the typical pawn structures for this opening repertoire is provided. It is very important to be aware of the typical features of the most common pawn structures and understand their transformations because a lot of strategic fight in the Ragozin and Queen's Gambit revolves exactly around getting into a favorable pawn structure. The basis for the sharp repertoire is the modern approach to the Queen's Gambit with 4...a6!? Now, this is not exactly a sharp variation in the strict sense of the word. Here we are talking about an opening that is still relatively unexplored and offers chances for a balanced fight without the chains of deep opening theory. The move itself is not pointless - Black simply prepares to capture on c4 and protect the pawn with ..b7-b5, similarly to the Slav Defense. However, the omission of the c6-move gives Black some extra options, which are explained in this database. 3. players who do not like to play or have an insufficient understanding of the Carlsbad pawn structure. This is the trademark Ragozin-pawn structure. It usually arises after the exchange of bishop for knight on c3. It is a dynamic pawn structure, meaning that it can transpose into several other pawn structures (#2, #3, #6, for example). - For Black, it is often important to get his pawn to c5 before White pushes his backward c-pawn. - He is ready to even sacrifice the c-pawn in some cases, obtaining counterplay against White's disconnected queenside pawns (a2, c3, c5). This version of the Isolated Queen's Pawn (pawn structure #5) is another common pawn structure in the Ragozin. - It is clearly in Black's favor to get this kind of pawn structure because the isolated pawn on d5 is offset by the one on c3. - It is often more difficult to protect the c3-pawn than the d5- one. - The most common transformation of the pawn structure is, obviously, into pawn structure #6. This double-edged pawn structure arises from many variations of the Ragozin and Nimzo-Indian Defenses. - Black's advantage is the pawn majority on the queenside. - On the other hand, he released the central tension (as in pawn structure #1) and now White has a strong undermining idea e3-e4, often supported with f2-f3. 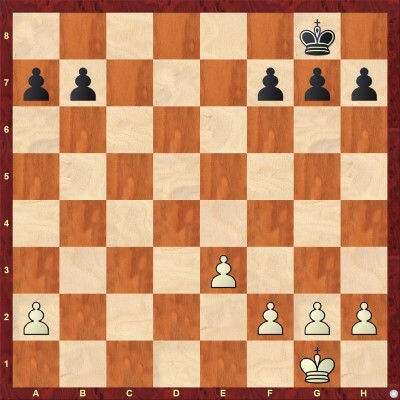 This can lead to a sharp scenario where both sides are pushing pawns on their respective sides of the board. - The second possibility is a more positional one: White is trying to contain Black's queenside activity by playing a2-a4, while Black controls the central e4-break with pieces or with the f5-pawn. - One should also not forget that the c3-pawn is a fixed potential weakness for White in this pawn structure. This pawn structure is very similar to #3, but the position of the White pawn on b2 rather than c3 makes a big difference. - While Black still usually wants to use his pawn majority on the queenside. In both cases, he would like to reduce the potential of Black's queenside pawn mass. The Isolated Queen's Pawn or Isolani is a pawn structure that can arise from virtually any opening, so it is not surprising that it is common in the Ragozin and Queen's Gambit Declined, as well. - Sometimes we get a version of it without the b-pawns, which does not change much. It is very solid for Black, if somewhat strategically risky. - As long as Black has active piece play to compensate for it, he should be fine. - It makes sense to trade White's heavy pieces to reduce the pressure on the isolated pawn. The 'kingside vs queenside majority' pawn structure is another one that can arise from a host of different openings. In the Ragozin, it also often appears with black c-pawn and white b-pawn on the board. - In the middlegame, it is not so easy to use either one majority, but in the endgame, it becomes much easier to push the pawns forward. - Control of the open files and central squares is usually the key in this pawn structure; whoever has an advantage in piece placement, has better chances to move his pawns forward and contain the opponents'. The famous Carlsbad pawn structure is probably the most common one in the Ragozin and in the Queen's Gambit. It usually leads to a long-term maneuvering play, where experience with typical plans and ideas for both sides plays a primary role. 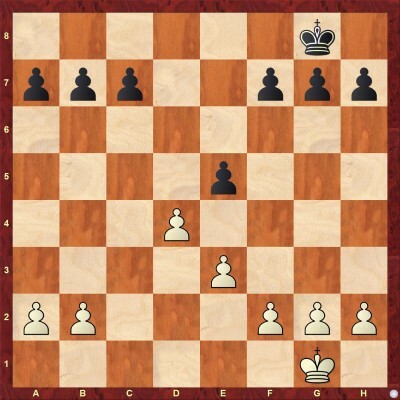 - For White, the main idea is usually to target Black's queenside with piece attacks or minority pawn attack (b2-b4-b5). - On the other hand, Black is looking to exchange a pair of pieces (especially the light-squared bishop) to get more operating space for other pieces. - His main focus is the kingside and if he combines queenside defense with kingside initiative well, he might even have better practical chances. - One more important thing to remember about this pawn structure is that the ideal square for black knight is often d6. From there, it covers important the e4- and c4-squares and defends the b7-pawn as well as hampers White's minority attack. 3. The pawns will be exchanged on d4, transposing into pawn structure #5 (with colors reversed). This pawn structure often arises from Ragozin variations with the knight on c6, which supports the central e6-e5 break, since the c7-c5 break is not available. This symmetrical pawn structure arises in some variations of Ragozin and the Queen's gambit. Despite its apparently drawish nature, the evaluation of the position largely depends on the activity of pieces, as is usually the case in positions with an open center. 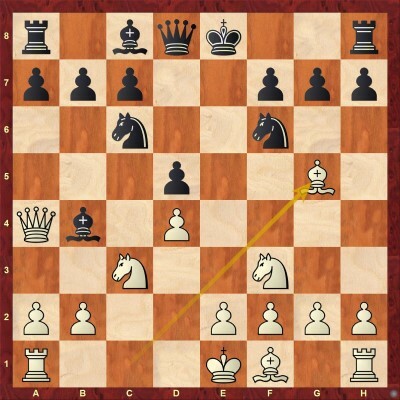 - In some variations, Black may have troubles developing his light-squared bishop, so very often the determining factor for Black is whether he can get his bishop to h1-a8 diagonal in time. This dynamic pawn structure can also arise in several variations of the Ragozin and QGD. Black's b6-pawn is used as a support for the c5-pawn and if White captures on c5, we get a 'hanging pawns' center. Other common transformations are into pawn structures #4 and #5. I put White pawns on g3 and e3 here to suggest that White can develop his light-squared bishop either to f1-a6 diagonal or h1-a8 one. 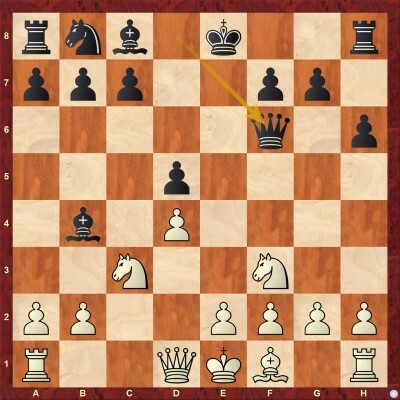 - Generally speaking, it is better to fianchetto the bishop against this particular pawn structure. This Chapter deals with this typical check that White uses in many branches of the Ragozin to force the black knight to the c6-square. This slows down or downright prevents his typical ...c5 break in the center and he has to look for different ideas. The downside of this check is that the queen is usually not too useful on a4, so White often needs to spend a tempo to bring it back. On the other hand, Nc6 is a useful developing tempo for Black. The main focus of this chapter is on this queen move. 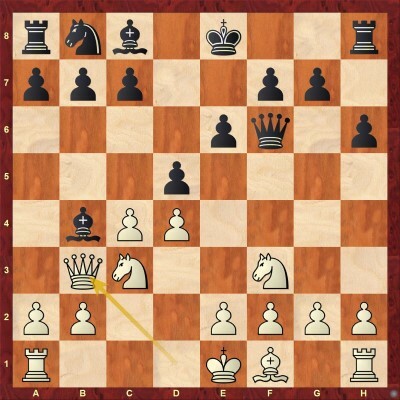 Similarly to 7.Qa4+, White quickly attacks the b4-bishop. 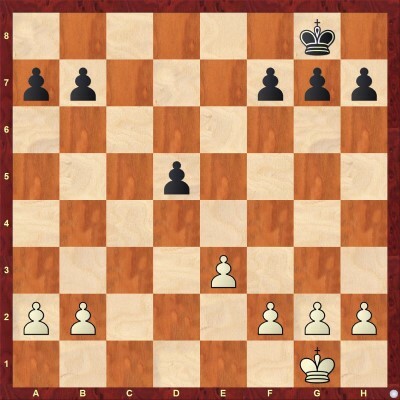 The difference is that here, the idea is to recapture on c3 with the queen, keeping a simple pawn structure. This is one of the most positional variations against the Ragozin defense and is usually chosen by white players who like simple positions with very little risk. Consequently, the drawing margin here is pretty big and Black should not have many problems out of the opening if he knows what he is doing. 7...c5 This standard move is possible now, compared to 7.Qa4+. Black protects the bishop and fights for the center at the same time. 8.cxd5 The strategic plot of 7.Qb3+ setup is to play against the isolated d5-pawn, so from White's perspective, this exchange should happen sooner, rather than later. Other moves are possible as well, but White does not need to allow Black a possibility to capture on c4. 8...exd5 At this point, White has two main directions. The first one is to force the exchange on c3 and play the middlegame against the hanging pawns on d5 and c5 (pawn structure #10). 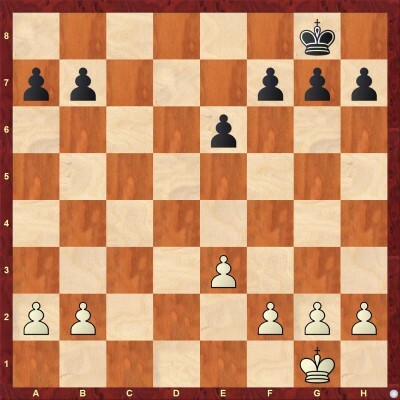 The second one is to take on c5 and play the pawn structure #2. This is the main line of the 5.Bg5 h6 variation. 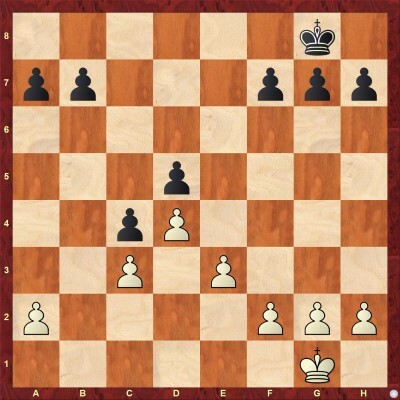 White's plan is simple - castle quickly and use his lead in development to put pressure on Black in the middlegame. After 7...0-0 White does best by playing the useful move 8.Rc1 At this point, the standard way to fight for the center is 8...dxc4, followed by 9...c5. This is the main line, with a lot of theoretical material. White has many ways to try to pose problems for Black, using his slight development advantage. In general, Black should be able to solve them, although things are often not simple and the arising positions can become sharp. 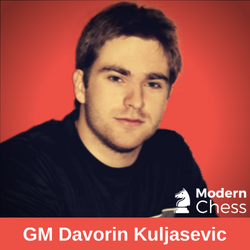 Since our goal is to try to play as solid as possible and equalize the game by simpler means, GM Davorin Kuljasevic suggests a rare move that has been growing in popularity lately: 8...Nc6!? Normally we do not develop the knight to c6 before pushing the c-pawn first. 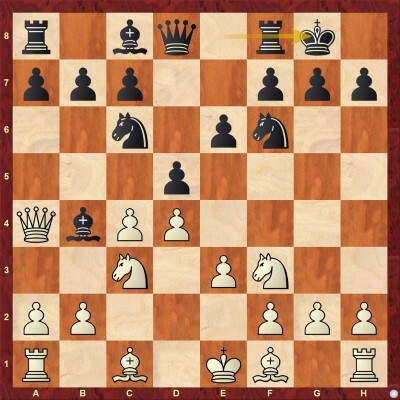 However, Black's idea is different here; he would like to carry out the central e6-e5 break instead. By postponing the exchange on c4 by one move, he also saves a developing tempo as White can not castle yet. Our author has not been able to demonstrate a clear path to advantage for White after 8...Nc6 and it seems like top players have not managed to do it yet, either. Therefore, his conclusion is that 8...Nc6 is a worthy alternative to the mainline 8...dxc4 and can be played with confidence. This pawn sacrifice is White's most ambitious try in this variation. He preserved his c3-knight from the exchange, so he will attack with one extra piece. The d4-pawn can sometimes be recouped, although usually it actually serves as a barrier between white and black pieces, which allows White to build up his attack without direct counterplay by Black. On the other hand, Black needs to find the optimal way to complete his development and set up a defensive strategy. His position has a lot of defensive potentials, so usually, we get a double-edged and interesting middlegame. The extra pawn on d4 does not hurt Black's chances in case of some tactical exchanges, obviously. 12...Be7!? This is the latest trend that allows Black to remain flexible with his defensive options, depending on how White proceeds. The bishop did not have much to do on b4 any more, while on e7 it covers important dark squares around the king. By including the check on a4 and forcing the knight to c6, White secured his center from the ...c7-c5 break and usually strives for a long positional battle after the exchange on f6. 7...h6 8.Bxf6 Qxf6 It is also possible to reach this position with different move orders that involve Bg5, Qa4+, and exd5. 9.e3 0-0 We can see the contours of the middlegame battle - White will try to use his control of the semi-open c-file and combine piece play on the queenside with the pawn minority attack. Black, on the other hand, controls the e-file and he usually focuses on the kingside offense. Due to solid pawn structures with long pawn chains, both sides have considerable defensive resources, which usually makes for long and complex maneuvering battles. 10.Be2 Be6 Black had several alternatives at this point, but this move should give him the best chances, in GM Kuljasevic's opinion. Most strong players also prefer this move. The idea is to protect the d5-pawn with the bishop (instead of the rook) so that the other bishop could retreat to an active square d6. Compared to a similar position covered in the first three chapters, the exchange on f6 is not so principled here since the h3-c8 diagonal is open for the light-squared bishop. This makes his development fairly simple and usually allows him to equalize without much trouble. At this junction, the most popular continuation for White is 8.Qa4+, which would lead to Chapter 5 by transposition, after 8...Nc6. Here, we will take a look at all of the other notable alternatives for White. Even though there is not too much opening theory to speak of in these lines, it is good to study them to get a better feeling for the opening overall. In this chapter, we will analyze White's main weapon against the Ragozin after the 5.cxd5 exd5 exchange. White keeps the pin on the f6-knight and provokes him into playing the weakening g7-g5 in order to unpin. Indeed, 7...g5 or 7...c5, followed by ...g7-g5, used to be the main lines in the previous years. However, our focus will be on a relatively fresh variation 7...0-0 8.e3 Bf5! ?, which has proved to be a reliable choice for Black lately, even on the highest level. This move is the cornerstone of our repertoire against 7.Bh4 variation. Black would normally like to play this move, but the problem is that the b7-pawn loses protection and it seems like this move is just bad after 9.Qb3. However, strong engines have proven that Black obtains good compensation if he sacrifices the b-pawn, which made this variation completely playable. Obviously, the critical move is 9.Qb3 Bxc3+ 10.bxc3 keeping the pressure on the b7-pawn. 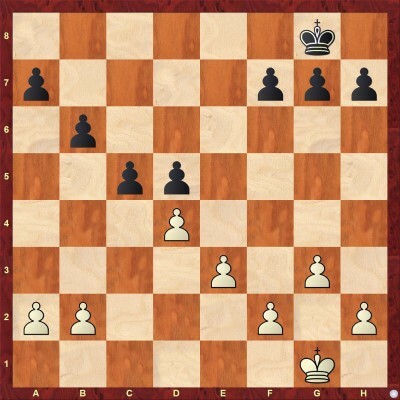 (10.Qxc3 is a much more positional alternative, preferred by Ding Liren, Mamedyarov, and a few other strong players. White foregoes the chance to win the b-pawn in hopes of utilizing his bishop pair in the long run.) 10...Nbd7! Such bold pawn sacrifices could hardly be considered correct in times before strong computers. However, everything has been checked and Black can indeed give up the b-pawn for long-term compensation based on superior development. 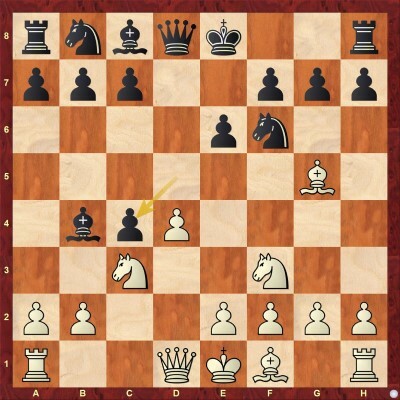 White would like to complete his kingside development without wasting a tempo with his bishop, so his main task is to look for a useful developing move other than 7.Be2 or 7.Bd3. Black, on the other hand, will usually try to prepare the ...e6-e5 break in the center. 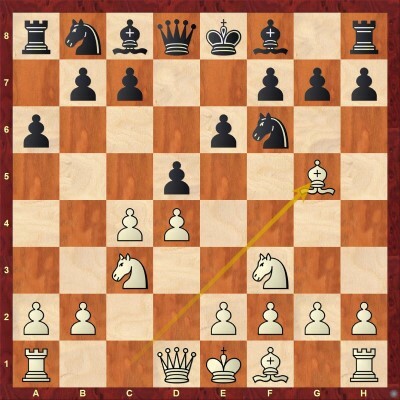 In recent years, White's main weapon has been 7.Qc2 This move was introduced into grandmaster practice by strong Polish players, such as Bartel and Krasenkow, around 2008. The position actually transposes into a subvariation of 4.Qc2 Nc6 Nimzo-Indian with an extra tempo for White, where Black does not equalize. White argues that Black does not have a particularly useful way to make use of his extra move now, so he does not mind wasting a tempo to bring his queen back home. Indeed, there are many possibilities for Black here to choose from. Over recent years, 7...Re8!? has established itself as the most flexible continuation with good chances to equalize. The idea is to support the standard ...e6-e5 break. 8.Bd2 This is the most popular response. White would like to recapture with the bishop in the event of exchange on c3, at the same time, stopping black's central break. 8...a6 Black prepares to retreat his bishop to d6, from where it will support the e5-break, but first, he needs to secure the b5-square. 9.a3 Bd6 With b5-square under control, black can play this move comfortably. The central tension is reaching its peak and 'who will find the next useful waiting move' contest continues. 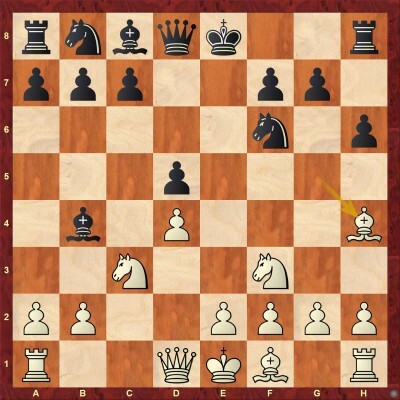 White still does not want to commit with his light-squared bishop, so one of the rare useful moves left is 10.h3 Black also does not want to release the central tension and he has at least one obviously useful move - 10...h6. This has been Black's main choice until Carlsen uncorked: 10...Bd7!? This developing move has an advantage over 10...h6 in that it is more effective against White's main answer 11.Rd1. This variation is not as popular as the previous ones, but it is very direct and Black needs to have a good response ready. As in Chapter 2, we answer with 5...c5 which is the most principled way to defend the bishop. Now, the main line goes 6.dxc5 and here our author recommends 6...Na6!? This is a fairly new move that is slowly replacing 6...Nc6 as Black's main attempt to equalize the game. Black prepares to take back on c5 with the knight, which would give him a sort of a Nimzo-Indian type of position, where his centralized knights and lead in development compensate for White's bishop pair advantage. In this chapter, GM Davorin Kuljasevic shows how Black should react to rarely played moves after 1.d4 Nf6 2.c4 e6 3.Nf3 d5 4.Nc3 a6!? 5.g3 This is a rarely used option since g3 and early Nc3 moves do not mesh that well together. However, these days a lot of Catalan setups with a long-term pawn sacrifice on c4 are viable for White, so this one needs to be checked thoroughly, as well. 5.a4 when several moves work for Black. 1.d4 Nf6 2.c4 e6 3.Nf3 d5 4.Nc3 a6!? Some players prefer quiet development with 5.e3 shifting the focus from the opening to the middlegame. Black has many good options, such as transposing into Tarrasch defense with 5...c5, or into the Queen's gambit accepted with 5...dxc4. While being sufficient to equalize, these variations usually lead to simplifications in the center. 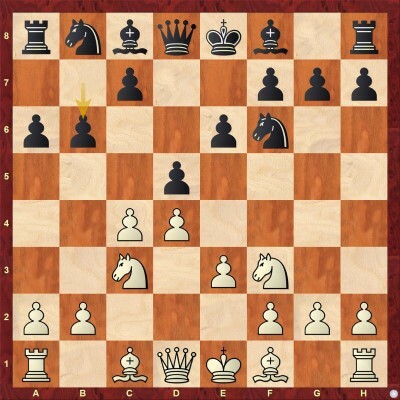 For our 'sharp' repertoire, GM Kuljasevic recommends the move 5...b6!? Against White's slow setup, Black used the opportunity to develop his dark-squared bishop more actively than usual (on d6 instead of e7) and for this purpose, a6-move has proved to be quite useful for Black. This kind of position leads to a complex middlegame with a lot of options for both sides. We will take a look at some key games here to get acquainted with typical ideas and plans for both sides. This is a positional attempt to answer Black's threat to take on c4 and keep the position closed. The point is that now in case of 5...b6 Black can not recapture on b6 with the a-pawn, as he would like to. However, this is nothing special for White and Black will hardly have opening problems against such an approach. 6.cxb6 cxb6 7.Bf4 This is a more natural way to develop the bishop. 7...Bb7 8.e3 Be7!? The other plan is to fight for the e5-square with ...Nc6, ...Bd6, but our goal is not to simplify the position too much. By keeping an extra pair of pieces on the board, we retain the complexity of the position without hurting long-term chances to win. 9.Bd3 Nbd7 This is the preferred development of the knight. Black does not want to obstruct the light-squared bishop with the knight on c6. In addition, the knight can be maneuvered to b6 if Black gets to play ...b6-b5. Objectively speaking, all of this is not much for either side, but as long as all pieces are on the board, there is a lot of opportunities to outplay your opponent. Pinning the knight with 6.Bg5 is White's most popular and natural option, but he has three notable alternatives that we will cover in this chapter. We start with 6.Bf4 Sometimes in Queen's gambit, the bishop is developed on this square. However, in this case, it is not so principled since Black can offer a trade of bishops on d6 without wasting any time. 6...Bd6 7.Bg3 Bf5 This is another objection to the 6.Bf4 variation - it allows Black to develop his light-squared bishop to f5. Of course, White has ways to deal with that, but in 6.Bg5, this is not even an option for Black in most cases. 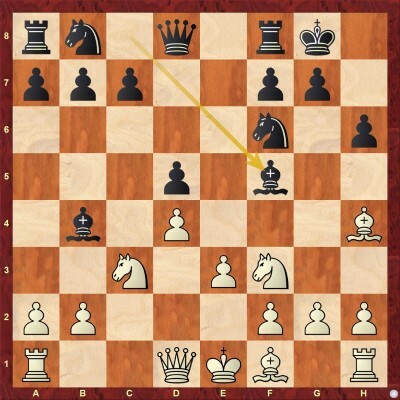 According to GM Kuljasevic, a dangerous alternative is 6.Qb3 With this move, White puts pressure on both b7- and d5-pawns, while also not allowing Black to develop his light-squared bishop, as he normally does in this opening. It was played by several strong players and we might see its popularity increase in the future. Our author suggests two answers, one sharp and the other more positional so that you can choose depending on your goals. The sharp one is 6...c5 logically attacking White's center and keeping c5-c4 as an option to win a tempo on White queen. A more positional option is 6...Be7 when Black is basically ready to play the classical exchange variation of the QGD. There are two plusses to this approach. Firstly, Black has avoided Nge2, f3 setup and secondly, he will most likely have an extra move ...a6 compared to the main lines since White is likely to retreat his queen to c2 at some point. White queen is not particularly useful on the b3-square. Clearly, such an approach can work better against players who you suspect are well theoretically prepared, but may not be so well-versed in positional intricacies of the Queen's gambit. This is the main line of the Modern QGD - by far the most games in this young opening were played from this position. As explained in the introduction, there are pros and cons to this variation, compared to the exchange variation of the regular QGD. Generally speaking, Black's position is very solid and offers good chances for a long battle where both positional and tactical strengths of a player can be utilized. This makes it a good weapon to play for a win, especially against specific types of opponents, as noted in the introduction. Since the pawn structure is most likely to remain fixed as #7 for a long time (sometimes it transposes to #5), it is important to be well acquainted with typical ideas and plans for both sides. The theoretical knowledge is still of secondary importance here; what is more important is how you handle the battle strategically. Therefore, the approach to this chapter will be a bit different compared to the other chapters in this database. Instead of studying variations, move by move, GM Kuljasevic has collected the most important games played so far in this variation. He will present them in a tree of variations, as usual, but the focus will rather be on ideas than on concrete variations. 6...Be6 As explained in the introduction, this unusual way of defending the d5-pawn allows Black to set up his pieces more actively than in the standard QGD. White's main continuation now is 7.e3 although several alternatives to exist which GM Kuljasevic covers in his database. 7...Nbd7 8.Bd3 This is the most natural continuation, but it did not prevent white players from trying other moves at this point which are also explained in the database. 8...Bd6 In this system, Black has the benefit of developing the bishop on a more active diagonal than what is customary in the QGD. 9.0-0 Black has an important choice to make now. He has two main strategies: 1) to save the tempo on c7-c6 and prepare c7-c5, transposing into pawn structure #5; or 2) play c7-c6 immediately, trade the dark-squared bishops and continue maneuvering in pawn structure #7. Both of them are viable and sometimes overlap with each other, so our author covers both of them. This sideline is quite reasonable - White develops his dark-squared bishop naturally, hoping to get into a normal middlegame without having to worry about heaps of opening theory after 4.Nc3. Since our repertoire is based on the Ragozin defense, our author suggests the following response: 4...Bb4+ Now, White can defend against the check with either 5.Nc3, which leads into the 5.Bg5 variation of the Ragozin by transposition, or he can play 5.Nbd2!? This is an interesting way to avoid the mainstream Ragozin theory. However, the knight is not placed so actively on d2, as it is on c3, so Black's principled continuation is: 5...dxc4 With his knight on d2, 6. e4 just does not make much sense. 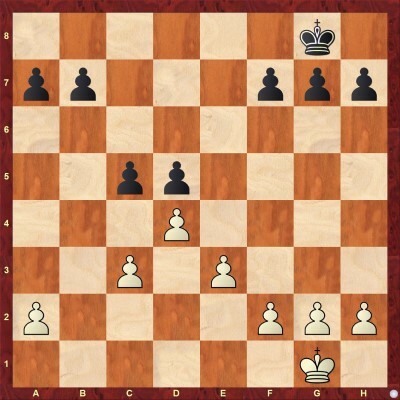 Black can defend the pawn with 6...b5 7.a4 c6 and White cannot make use of his pawn center. 4...b6 Among several good responses to White's positional setup, GM Kuljasevic suggests this Queen's-Indian approach. Black plans to develop his bishops to b7 and d6 and the knight on d7. This usually leads to complex middlegames with lots of possibilities for both sides, which is something that White is, presumably, playing for when he chooses 4.e3. The downside for White is that Black gets easy and natural development and is usually not under any pressure in the opening. White has several positional setups in this variation. At the end of the database, you will find 30 interactive tests which allow you to test your understanding and knowledge of the theoretical lines. Here are five of them.